A common misconception is that pet owners can leave money behind for their pets in their wills. While they may have good intentions, you simply cannot include your pet in your will and expect that they will be cared for. The reason is that a pet is considered property, just like a car or jewelry. As such, a pet cannot “inherit” money from you through your will. So, no matter how detailed your will may be with regard to your pet, you are not protecting your pet as you may think. Instead, you need to create a pet trust, which can provide more security for your pet’s future. The goal of a pet trust is to provide income for the support of your pet, along with specific instructions regarding how the pet should be cared for. A pet trust is created like any other trust and it operates the same way. The trust agreement will provide the detailed instructions for your pet’s care, as well as any preferences you and your pet may have. Depending on how you decide to set up your trust, you can appoint a caregiver as well as an independent trustee who manages the funds to make sure the caretaker complies with the terms of the trust. A more traditional pet trust is the most commonly used and is recognized in every state, no matter where the trust was created. Another important benefit of a traditional pet trust is that it provides pet owners with the most control over the specifics of their pet’s care. 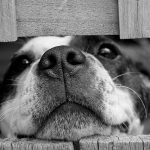 What is a statutory pet trust? A statutory pet trust is very different from a traditional pet trust. A state may have a statute that recognizes a very simple provision included in your will. A statutory trust, unlike a traditional trust, will give very little detail regarding the care of your pet. Instead, you simply include language such as, “I leave $20,000 in trust for the care of my dog, Spot.” When the will is probated, the court will then make sure to honor the provision and stipulate that the estate funds are used for the benefit of the named pet. A pet trust is a great estate planning tool that provides a way to leave your pet to someone to care for, along with the necessary financial resources for providing that care. 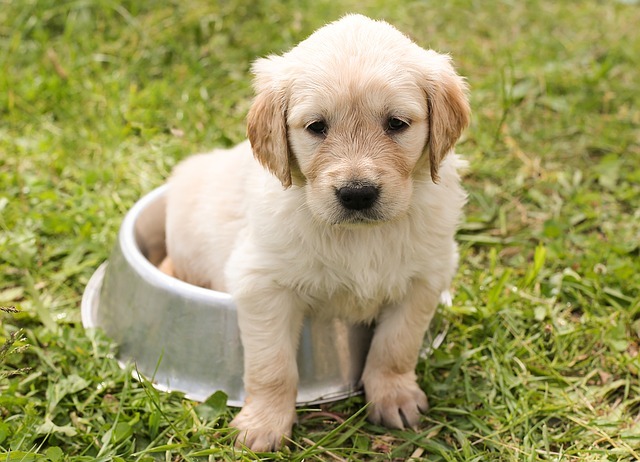 In some cases, it is necessary to create an actual legal obligation in order to ensure that the pet will be cared for and the funds will be used for that purpose. This is an ideal option for clients who are not sure they can trust someone to voluntarily care for the pet or follow the directions they leave behind. With a binding legal agreement, the caregiver must follow the instructions as set out in the trust document or they may find themselves legally liable for violating its terms. The same is true if the trust funds are not used for the benefit of the pet but instead appropriated for some other purpose. What terms should I include in my pet trust? The essential terms to include in a pet trust are the identity of your pet, the name of the caregiver, the financial resources to be used for the pet, detailed instructions about the care to be provided and what should be done with any money that remains after your pet passes away. The main purpose of a will is to distribute your property after death. That means the provisions you include in your will regarding your pet are not legally enforceable. That means, after your pet is given to the person you named in your well to inherit your pet, you have no control over whether that person actually cares for your pet. Instead, through a will, the caregiver simply becomes that person’s property, with which she can do whatever she chooses. The only way to guarantee that your instructions will be followed, you should use a pet trust. What happens to your pet if don’t have a trust in place? Again, a pet is considered another piece of property in your estate. 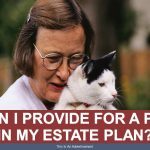 If your estate plan does not address the future care of your pet, or if you do not have an estate plan in place, then your pet will usually be given to your residuary beneficiary. That would be the individual who stands to inherit the remainder of your estate once all other inheritances have been distributed. Join us for a FREE seminar today! If you have questions regarding pet trusts or any other estate planning needs, please contact The Potter Law Firm for a consultation, either online or by calling us at (704) 944-3245 (Charlotte, NC), (606) 324-5516 (Ashland, KY), or (859) 372-6655 (Florence, KY).